C. S. Lewis Societies have been forming around the world since the first one started in New York City in 1969. Will Vaus has started and led three groups himself. Speaking of Jack is the result of Vaus' experience in leading those Lewis societies. Included here are introductions to most of Lewis' books as well as questions designed to stimulate discussion about Lewis' life and work. These materials have been "road tested" with real groups made up of young and old, some very familiar with Lewis and some newcomers. 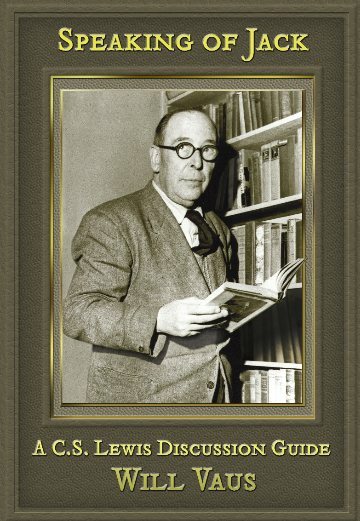 Speaking of Jack can be used in high school and college courses, an existing book discussion group, Sunday school class or small group, to start a C. S. Lewis Society, or as a guide to your own exploration of Lewis' books. To learn more about the book and read a sample chapter click here: wingedlionpress.com/speaking_of_jack.html. Click here to go to our order page: willvaus.com/store.